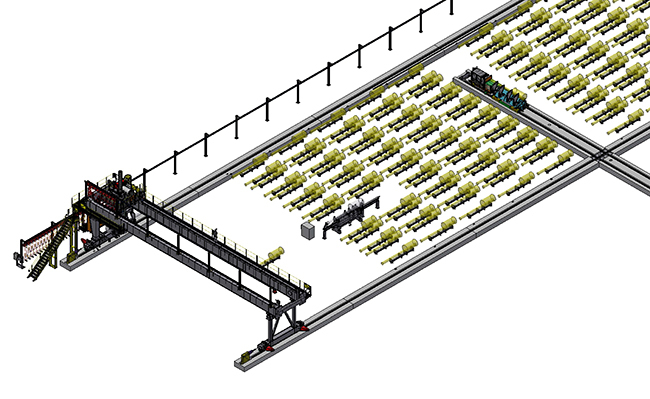 SES, a leading designer and manufacturer of Automated Storage and Retrieval Systems (AS/RS), provides a variety of computer-controlled systems for automatically placing and retrieving product (i.e., ingot, coil, etc.) from specific, defined locations. These Automated Storage and Retrieval Systems are typically used in areas where a very high volume of product is frequently moved in and out of storage, without operator intervention, where storage space is limited and critical, and where limiting product damage with highly accurate storage positions is crucial. SES can adapt our AS/RS to your custom-product needs. 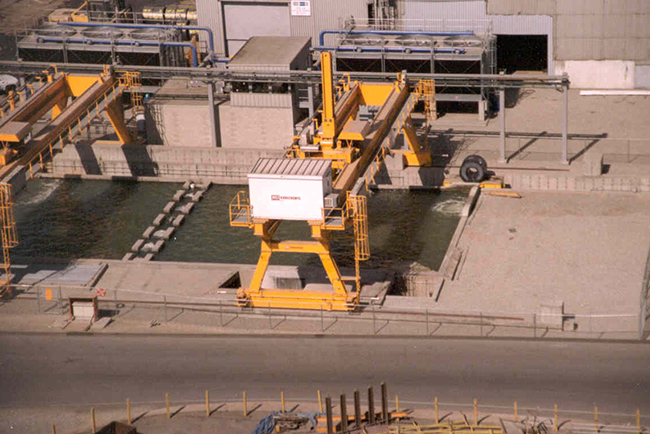 This AS/RS Ingot Yard stored up to a maximum of 288 specialty ingots, had the ability to automatically offload a pre-positioned, over-the-road semi-truck and weigh the product prior to storage. 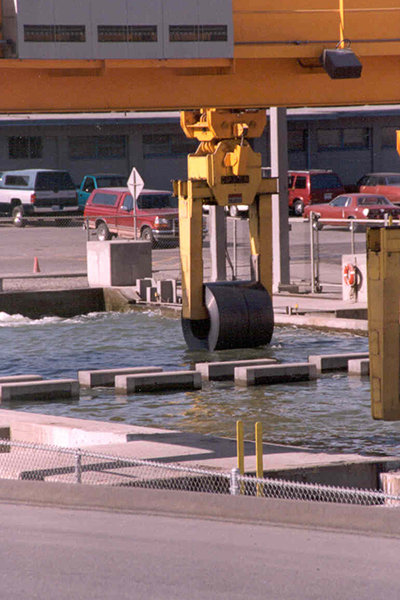 This AS/RS Coil Storage Field incorporated a Cooling Pond allowing hot band coils to be cooled down from 1100°F to below 200°F in less than two hours. This AS/RS Coil Storage Field was imperative due to the lack of visibility of the product once submersed in the Cooling Pond. The AS/RS stored up to a maximum of 84 hot band coils in zero visibility. 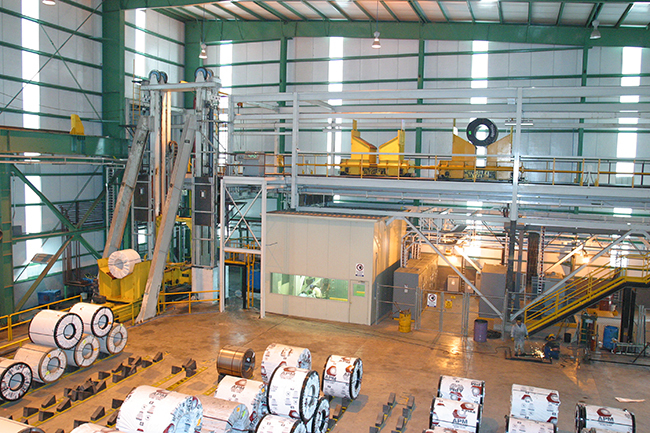 This high-tech AS/RS Logistic Shipping Area handles every coil produced by our customer’s hot and cold mills, as well as all processing lines. 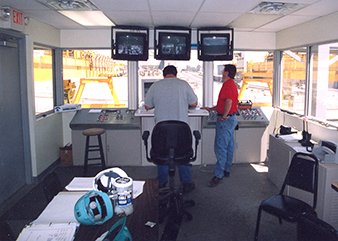 It centralized mill-wide shipping, saving both time and money while optimizing the safety of the facility.